I was out in Panamint Valley yesterday and noticed the almost total lack of snow up on the peaks. There's supposed to be a possibility of snow Friday or Saturday. Hopefully the peaks will be covered in snow come Sunday morning. I'll keep my fingers crossed until then! I read today in the Ridgecrest Daily Independent that a hiker was rescued near Telescope Peak. He had hiked up from Hanaupah Canyon and wound up "cliffed out" while trying to find a short cut. Helicopters were required to rescue him. I tried finding the article online, but didn't see it. Hopefully the DI will post the article online within a few days or else maybe another newspaper will post info on the incident. 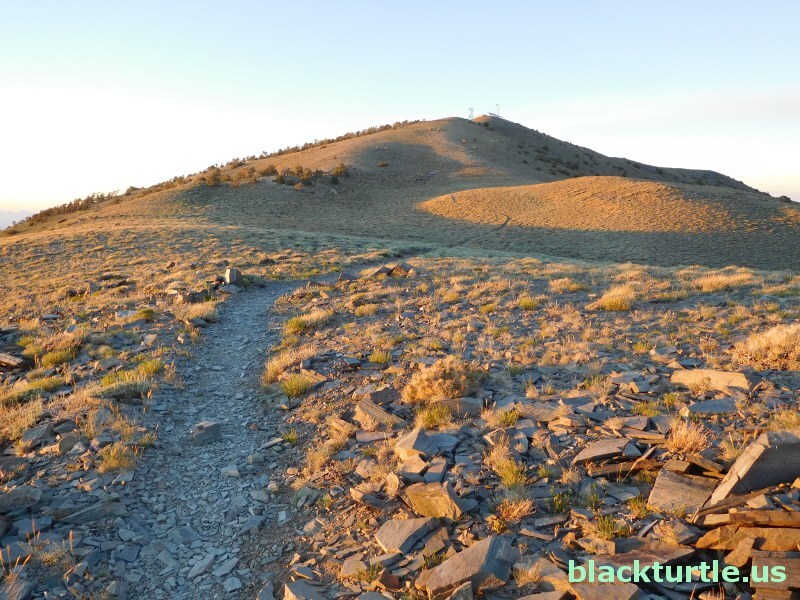 blackturtle.us: That's a pretty tough hike to start from the east and climb to the peak like that. The other tidbit of info I heard is that the reason the hiker took the short cut is that it was beginning to snow. Not sure if this is accurate, but it would explain why he took a risk like that. Of course, it was a calculated risk and he's lucky he made it out alive, especially this time of year! 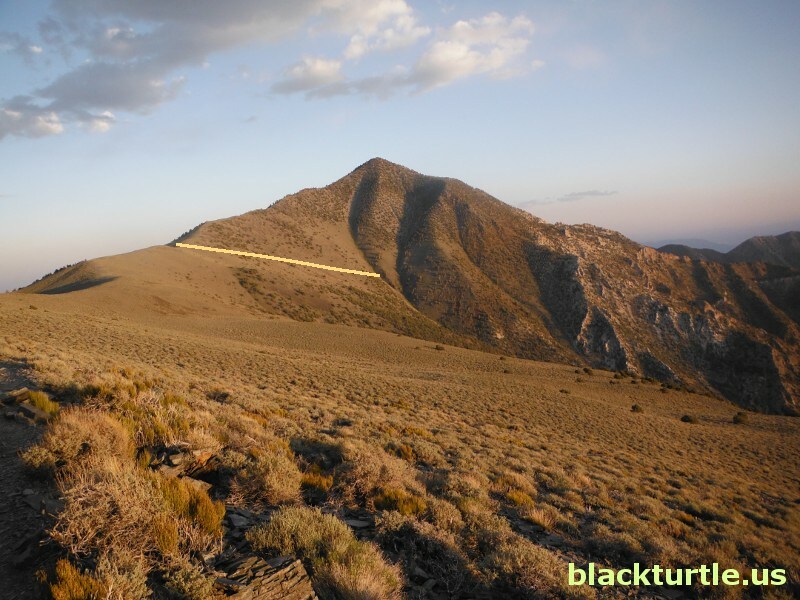 I hiked up Telescope Peak yesterday. It was a great day and the trail was in great shape. The roundtrip came out to 12.4 miles according to my GPS. I actually saw a light dusting of snow on Telescope yesterday. I didn't see any during November or October or in December up until now. Usually there's at least some snow on the peak during November and it's not unusual to see some in October. I've even seen some in September before. But this might be the latest for the first snow of the Fall/Winter I've ever seen. I hiked up Telescope on Sunday, September 17. This time my GPS logged 12.26 miles for the roundtrip. At the trailhead the temperature was only 62F at the start of the hike and 48F at the end of the hike. I started hiking at 3:30 pm and got back to the car a little after 7:30 pm. I made it to the summit in 1 hour and 54 minutes, which is not nearly my best time, but not bad for a guy who is 56 years old. On the way down I took my time and took a few pictures along the way. 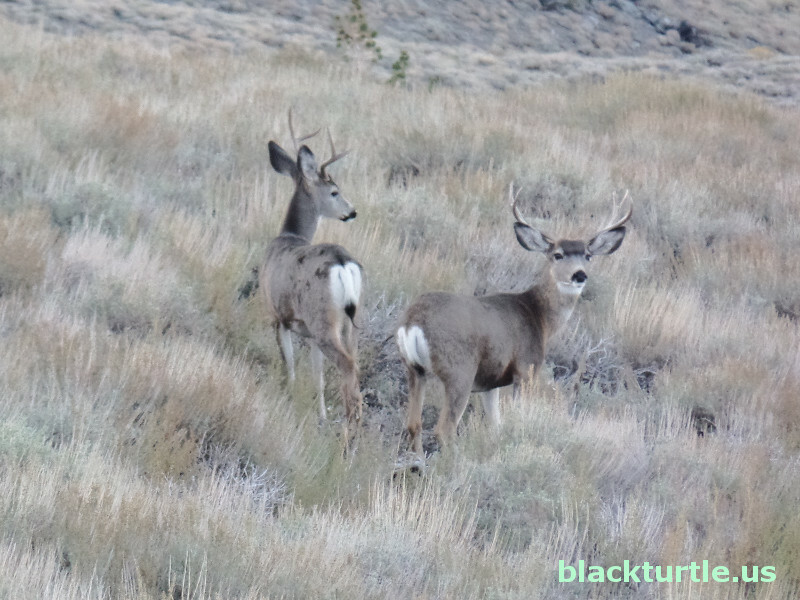 I only posted ten pics including this one of some deer hanging out near the trail. I saw a total of seven deer on the way down. The NPS lists Telescope as a fourteen mile round trip and says that it normally takes seven hours to complete the hike. They tend to over-estimate hiking distance and time which makes sense since they don't want people to over extend themselves. Better that people find the hike easier than advertised than vice versa. BoraxBill: Absolutely! There are plenty of weekend warriors out there who get themselves in trouble because they don't know their limits. The park service has enough to do without doing ten search and rescue missions every weekend!